Award-winning and prolific writer Laura Hilton is on tour this month with Awakened Love, the lastest book in her Amish of Webster County series. Below you will find the book synopsis and author bio. For reviews, interviews and more please follow the tour here. Her publishing credits include three books in the Amish of Seymour series from Whitaker House: Patchwork Dreams, A Harvest of Hearts, and Promised to Another. The Amish of Webster County series, Healing Love. Surrendered Love and Awakened Love. A nonAmish book The Appalachian Ballad Quilt will release November 2014 from Abingdon Press. 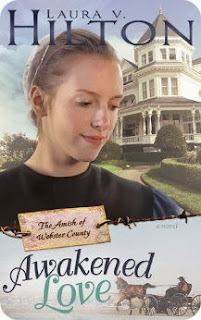 She is contracted for another three book Amish series with Whitaker House, The Amish of Jamesport, releasing in April 2014, September 2014, and April 2015. 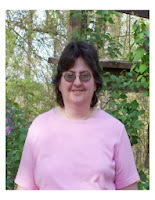 Laura is a member of American Christian Fiction Writers. Laura is a professional book reviewer for the Christian market, with over a thousand book reviews published at various online review sites. You can find Laura at http://lauravhilton.blogspot.com http://lauravhilton.blogspot.com or http://lighthouse-academy.blogspot.com/.